I had about 4 days left in St Andrews after my last final before I had to go home. I tried to do as much as possible in those 4 days before I had to leave. 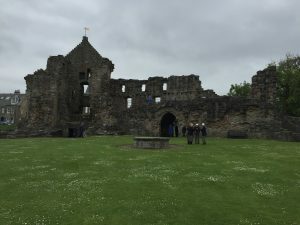 I decided to spend a day doing everything that I had not done yet in St Andrews, spend a day in Edinburgh, and had already had a korfball beach tournament scheduled for my last full day in St Andrews. The day after my last final, I dedicated the day to exploring St Andrews. I started first by going to the St Andrews Castle, something that I had always walked by, but never gone into. You are able to explore the ruins of the castle and walk through some of the underground tunnels that had been carved underground. The castle was built in the 12th century and overlooks the North Sea. I also walked all over through town and visited some spaces of the University that I had never seen before. Later that day, my friend and I walked the length of the West Sands beach. The next day, two friends of mine who were also study abroad students and I went to Edinburgh for the day. Edinburgh is the capital of Scotland and the most well-known city in Scotland. It takes about 2 hours by bus to get there and we were able to spend almost the entire day there. 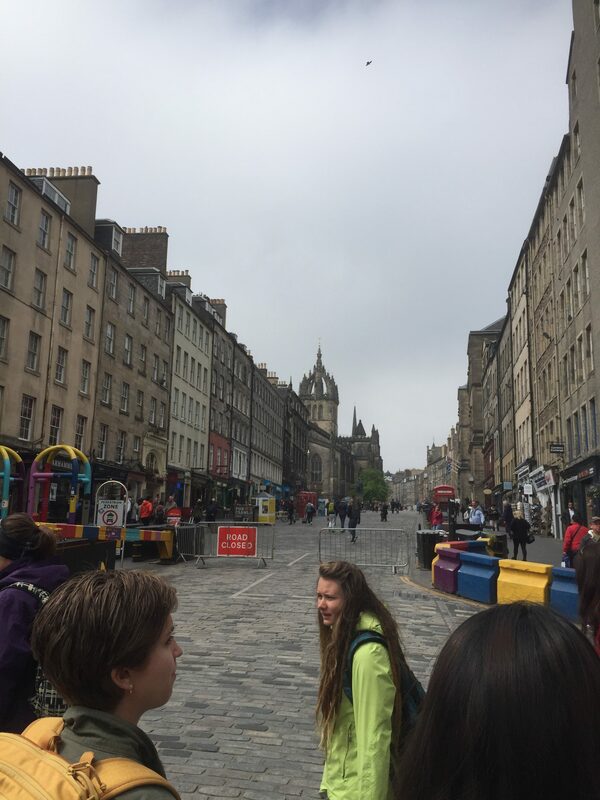 We walked the Royal Mile and saw the Edinburgh Castle and Holyrood, which is the Queen’s residence in Scotland during the summer. We also found Victoria Street, which is the street that inspired Diagon Alley from Harry Potter. We also walked through a graveyard where the author of the Harry Potter book series, J.K. Rowling, got some of the names for the characters and ate lunch at The Elephant House, a café where Rowling wrote the first Harry Potter book. 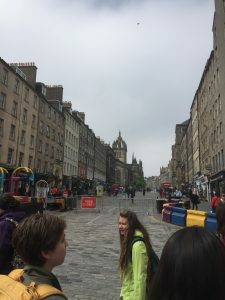 We then went to the National Museum of Scotland, where I was able to use some of my knowledge from Scottish Music and connect it with the historical artifacts of Scotland. 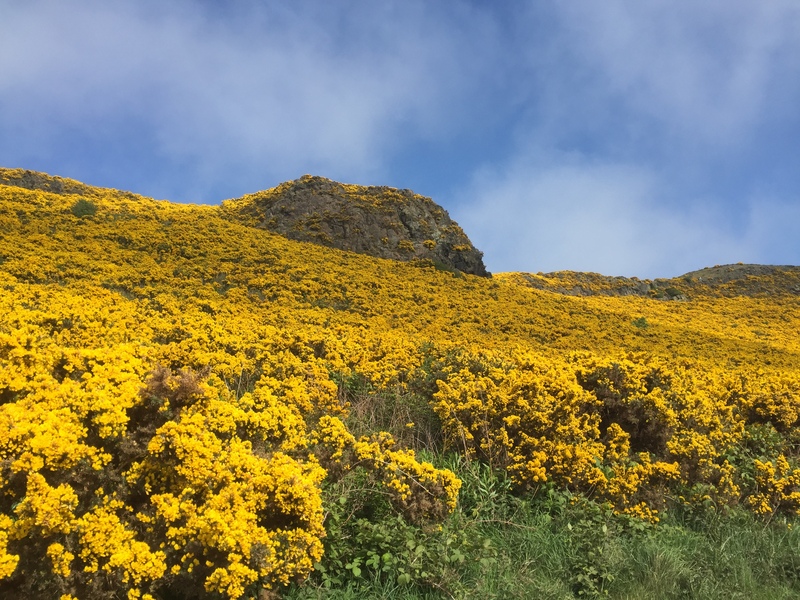 Our final destination was hiking up a very large hill to what is called Arthur’s Seat. The hike was very steep, but the views were gorgeous. On my last full day at St Andrews, I participated in a korfball beach tournament. We set up the hoops outside on the beach and played korfball all day in the sand. There were many different school korfball teams and other korfball clubs that participated and it was a lot of fun. 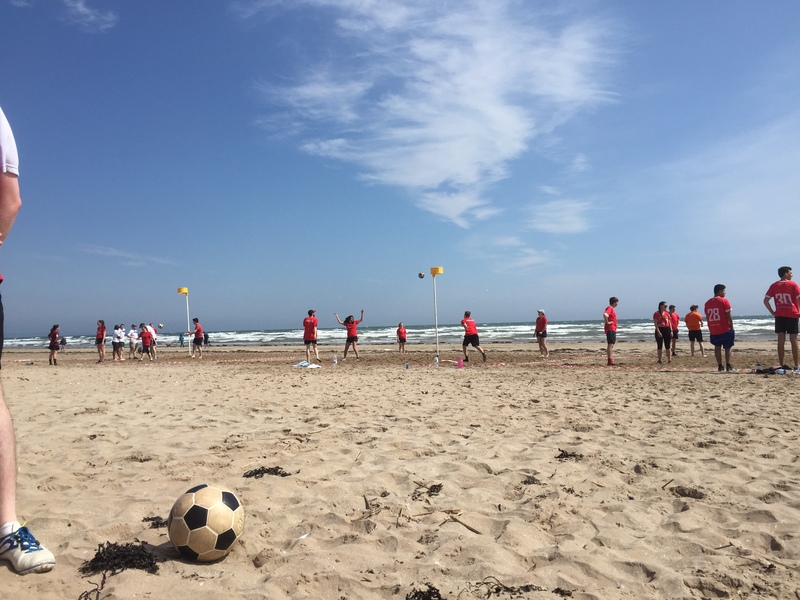 There are only 4 players per team in beach korfball, so the St Andrews korfball club broke up into smaller teams. I was on Team Rainbow, where we wore tie-dye shirts. It was a beautiful day at the beach, even though it was very windy and a little bit cold. It was a great way to end my time at St Andrews. Later on at night, all of the teams were invited to a ceilidh, or a dance, to celebrate the end of the tournament. I was able to go for a short while and say good-bye to everyone in the club. It was very sad, but I was glad to be able to see everyone one last time. 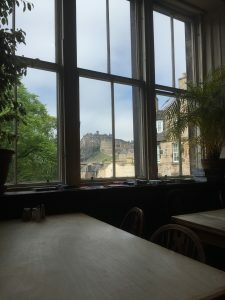 My last couple of days at St Andrews were bittersweet, but it showed me how much of a great experience I had and how much I have grown over the 5 month period. I was able to learn how to maneuver through a foreign country and understand and integrate into the culture of the country. 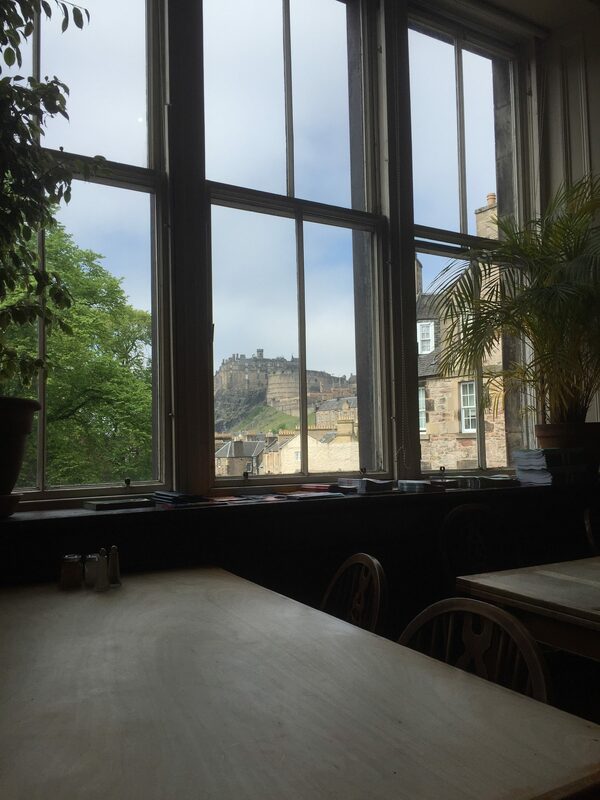 The level of comfort I had in walking around St Andrews by myself showed me that I was able to adjust to a different culture and learn to live somewhere completely different for 5 months. 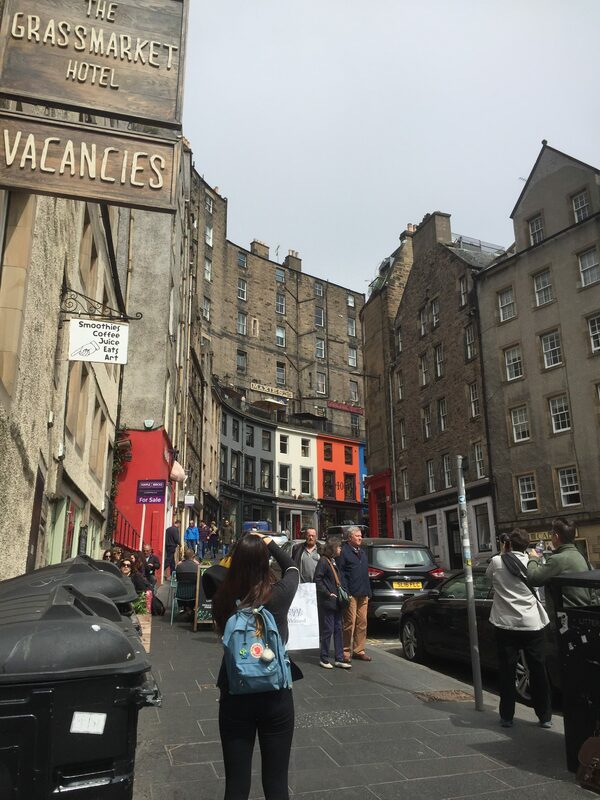 By going to Edinburgh for the day, I was able to show myself that I could travel and maneuver through public transportation in a foreign country, something that I am not sure I can do well in the United States. 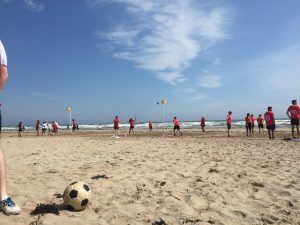 By participating in the beach korfball tournament, I also was able to prove to myself that I can make friends and was able to integrate into the university as a student. While it was very sad to say good-bye to my friends in korfball, the fact that everyone was sad showed that I was successful in integrating into the culture of the students at St Andrews and was able to make and be great friends with the students. All of this made for a very rewarding experience and I am very grateful for my experience at St Andrews. This entry was posted in Uncategorized on June 2, 2018 by erindenney.